Below are a sampling of the product and informational websites which Micwil Group of Companies Ltd. uses to achieve our mission statement goals. ErgoCanada was launched on March 1st, 2000 and was the first web portal for Micwil geared at ergonomics. It remains our largest and best-known portal, and is a definitive resource used by consumers and industry professionals alike to review the comprehensive range of ergonomic input devices and workstation accessories presently available in the Canadian marketplace. ExtremeGamingDevices.com was launched on July 1, 2004, providing a new identity for the company and a focus on 'cool' gaming products for customers who take their gaming seriously. 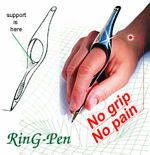 ErgoLaptop.com was launched on September 1st, 2009, providing a focus on products for every kind of laptop user from the 'road warrior' to the 'couch surfer'. BirdXCanada.com was launched on May 1st, 2004, providing a focus on bird and pest control products for facility managers for buildings large and small. LCDArmsCanada.com is an upcoming new website that will feature the leading LCD monitor arms with proven ergonomic value. This is a dedicated site to providing a uniquely Canadian source of information on the popular line ergonomic mice from Evoluent. This is a dedicated site to providing a uniquely Canadian source of information on the Ring Pen, a product which has been featured on numerous television programs and publications. SwingSeatCanada.com is an upcoming new web site that will feature providing a uniquely Canadian source of information on the Swing Seat Chair by SmartMotion Technologies.